As we all know that social media play an vital role in the field of promotion and advertising. Social networking sites includes Facebook, Twitter, Stumble, LinkedIn, Google Plus etc. Lets talk about Facebook. I think Facebook doesn't need an introduction. Today's generation are very much aware with Facebook and its applications. 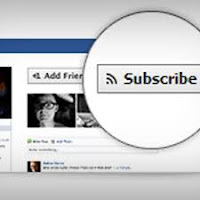 In this post i would like to share an interesting topic regarding Facebook subscribers. To boost and increase an subscribers become an informative trend now a days. So if you want to increase your Facebook subscribers in 2013. Than you are at right place. 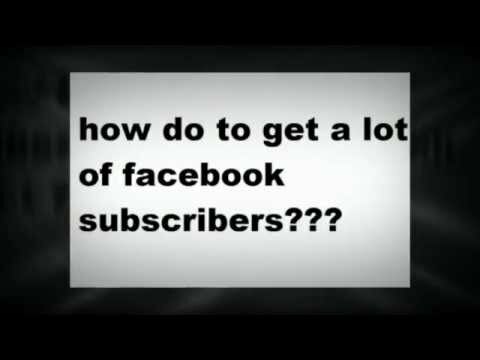 Here you find the best tips and techniques to boost up your Facebook subscribers. You can hide your Facebook Friend request button. In case if some one find your profile on suggestion tools and he/she want to communicate with you but doesn't able to send you an request than there is no choice, he/she forcefully click on subscribe button to get in touch with you. They can see your latest updates. You have to keep your update with public. Make your profile public. So that people who is not connected with you, he/she can also see your latest updates, status, photos etc. If you want to maximize your chances of getting Facebook subscribers to subscribe to your update, you’ll need to share your post with “Everyone”. Facebook apps is the easiest way to increase your subscribers. We recently tested a new live video-streaming app called "Vpype". The application adds a tab to your fan page called “Shows” and when you broadcast as your fan page, everyone can view by default. I am very much irritate with this 'Tag' button, but now I release that how much it is an effective tool to engage with lots of subscribers. Whenever you are uploaded an picture or image, make sure you are tagging your all friends and fans. Because if you are tagging your friends than the random image will shows on every one walls and they learn a lot and subscribe you. You can use an subscribe button on your blog or website. Your blog and site get huge readers for your blog. So if you are adjust an widget on your blog than whoever come on your blog they can subscribe you for getting your latest updates. You can place the widget on anywhere in your blog like: button, top, right and left. You have to update your profile regularly. Keep alive your profile. Your Facebook profile is the most important page on your Facebook account because it contains important details about you, starting from details about who you are and what you have to offer to prospective friends who might eventually view your profile.